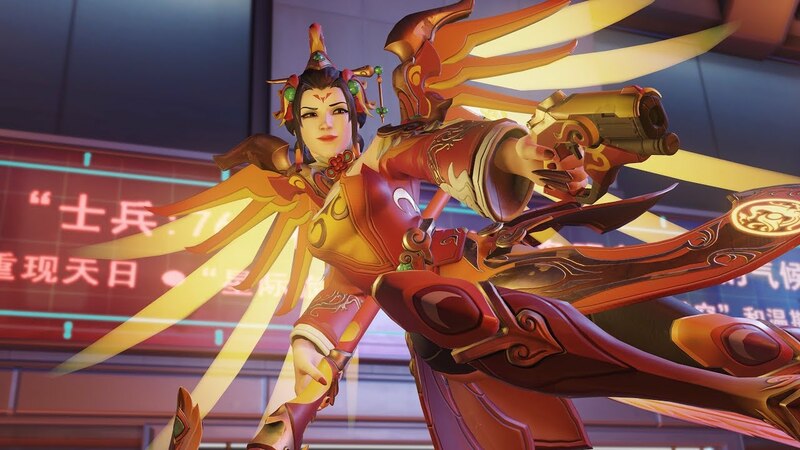 The Year of the Pig is about to begin, and what’s the Lunar New Year without an Overwatch event? Blizzard have announced that the yearly celebrations will return on January 24th and last until February 18th; plenty of time to grind out all the new skins available. Soldier: 76 teased the event from the official Overwatch Twitter account and Blizzard has even given us a little sneak-peek of a few of the skins that will be yours for the keeping. All the skins that have been teased so far are based of real-world historical figures from China’s past, namely generals and warlords. Reaper will be channelling Lü Bu while our favourite Swedish dwarf will be building his trusty turret as Zhang Fei. You can check out the @PlayOverwatch Twitter handle for all the latest looks as well as any new skins that may be announced. Capture the Flag will be returning as the main arcade game so you’ll have a couple of weeks to unlock any achievements you have left for the mode. Fingers crossed we’ll see some event cosmetics for the latest playable characters, even a new emote or highlight intro would be a nice addition. Which character would you like to see in a Lunar New Year inspired skin? Let us know in the comments below!